I hadn’t read any reviews of Philomena before I went into the screening. I was looking forward to seeing the film but wasn’t particularly desperate to fit it into my week. Luckily, I made time to see it on Saturday evening. I say luckily because it’s turned out to be one of the greatest releases of this year. 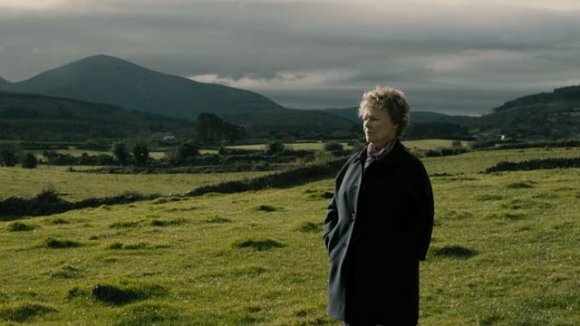 Telling the true story of Philomena Lee, Stephen Frears’ new film explores the injustice faced by one woman and her life long search for her child. In her teenager years, Philomena Lee found herself pregnant and gave birth to her illegitimate son inside a nunnery. When her son is taken from her by the nuns and given to a new family her fifty year search for her child commences. We first meet Philomena on the night of her child’s fiftieth birthday; exhausted and saddened by her failed attempts to find him. When journalist and ex-BBC man Martin Sixsmith makes the decision to explore Philomena’s story for a ‘human interest’ article, one that he is initially reluctant to consider doing, together they begin to explore the whereabouts of her son in more forceful ways. Philomena predominantly tells the story of their time together during this joint investigation into the truth about her child’s life and location. Frears has managed to create an excellent combination of comedy and tragedy. The film is emotional and serious but is filled with some charming moments of humours character collisions. Philomena and Martin come from different worlds. They differ in age, mind-set, personality and outlook. Where Philomena turns to her faith, Martin is quick to point out the inconsistencies in her belief system, targeting Catholicism. Religion and scepticism battle each other through the characters, story and script. Rationality and spirituality are constantly retorting back at one another for the duration of the film. What is delightful, as well as amusing, about this is that we are not required to choose a side. The characters have their own separate flaws and are both narrow-minded in their different ways. Whilst watching the film you merely appreciate their differences, for they make for a more substantial, and believable story. The comedy is never forced; for which the script and the delivery are responsible. The performances mark a mile stone in the careers of both Judy Dench and Steve Coogan. I personally believe that we get so used to Dench being consistently wonderful on screen that we become somewhat desensitised to how truly tremendous she is. An actress who always delivers, Dench somehow outdoes herself in Philomena. Her character is damaged; riddled with guilt and tortured by the loss she’s faced. Dench gets this all across in a surprisingly gentle performance. Coogan, who I have always enjoyed in his more serious roles, (he thoroughly impressed me only a month ago in What Maisie Knew), brings a slight arrogance and great rationality to Sixsmith, making him imperfect, but perfectly likeable. Most importantly, both actor and actress seemed to have understood what their character needed to draw out of the other’s. Philomena and its undeniable emotive power stems from three things. Firstly, here are two actors who truly understand the depth of their characters. Secondly we have a director who understands how to handle and get the most out of actors. Last and not least, Philomena at its core, has a story of injustice, courage and betrayal; one that is not only moving, but true. The real power of Philomena stems from its truth and the reminder that this really happened to this woman, along with thousands of others. With this in the front of your mind, the injustice seems harsher, the betrayals appear crueller and the conclusion hits home that much harder. Judy Dench has mentioned in recent promotion work for the film that she was more pleased that the real life Philomena Lee had been happy with the end result of the film than she was with her performance or the film’s reviews; a fact that really summarises the intent, purpose and spirit of Philomena. Tags: Biography, British Cinema, British Film, Cinema, comedy, Drama, film, Judy Dench, Philomena, Review, Stephen Frears, Steve Coogan, True Story. Bookmark the permalink. Previous post ← Edinburgh: October.